According to our sources, ASUS has begun the distribution of X470 motherboards to retailers. The X470 series are designed for Ryzen 2000 series featuring 12nm FinFET node. 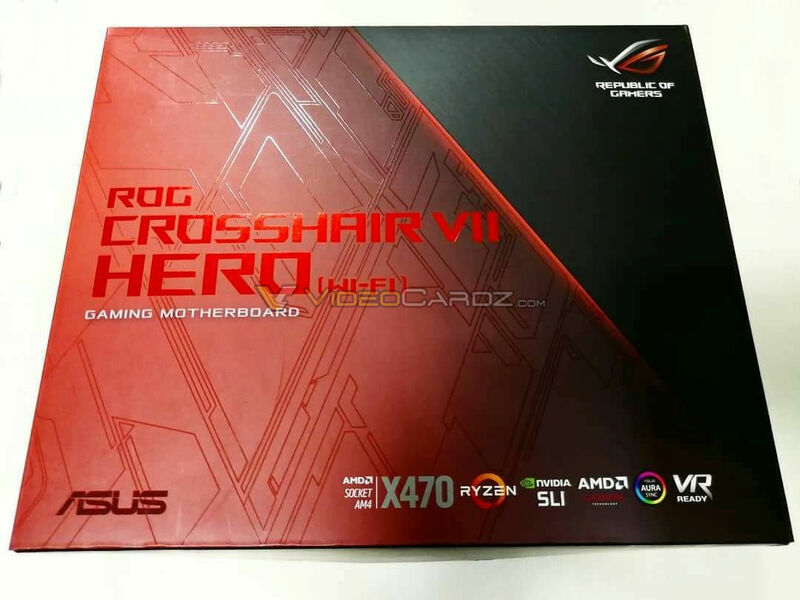 The Hero is the high-end motherboard from ROG Crosshair VII series. ASUS might also be planning Crosshair VII Extreme too, but so far we could not confirm it. So currently this is the best X470 motherboard from ASUS for AM4 socket. There are two variants of this motherboard, this one features onboard Wi-Fi, the other does not. We will let you know if there are more pictures. Many thanks to Abiem for the picture!